Offering a nuanced examination of the complex landscape that international scholars who publish their research in English must navigate, this edited volume details 17 perspectives on scholarly writing for publication across seven geolinguistic regions. This innovative volume includes first-hand accounts and analyses written by local scholars and pedagogues living and working outside Anglophone centres of global knowledge production. The book provides an in-depth look into the deeply contextualized pedagogical activities that support English-language publishing. 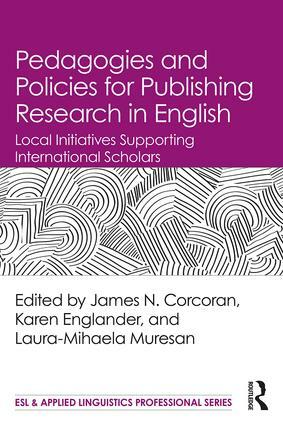 It also brings much-needed insight to discussions of policies and practices of global scholarly research writing. Bookended by the editors’ introductory overview of this burgeoning field and an envoi by the eminent applied linguist John M. Swales, the diverse contributions in this volume will appeal to scholars who use English as an additional language, as well as to researchers, instructors, and policymakers involved in the production, support, and adjudication of global scholars’ research writing. English or Spanish for Research Publication Purposes?